Vanilla-Inspired Teleporters adds a teleporter block that fits seamlessly into the Vanilla Minecraft playing experience. Only one new block is created, which is the teleporter itself. Stand on the teleporter, and teleport with ease! Teleporters exist on circular networks; each teleporter links to the next teleporter on the network, and the last teleporter links to the first one. Players define networks by inserting a key into the teleporter by right clicking it, which can be a block, an item, or no key at all. Teleporter networks are defined by their key - teleporters may only teleport to other teleporters with the same key. Ender Teleporters behave exactly the same as their regular counterparts. Unlike regular teleporters, however, ender teleporters can also teleport between dimensions, whereas regular teleporters cannot. Players can also block or lock teleporters. Blocking is achieved by placing a non-passable block either one or two spaces above the teleporter. When a teleporter is blocked, no player can enter or exit, and other teleporters on the network will skip the blocked teleporter. Locking is achieved by supplying redstone power to the teleporter. When a teleporter is locked, players may enter through the teleporter but not exit, and other teleporters on the network will skip the locked teleporter. This recipe creates 1 teleporter block. 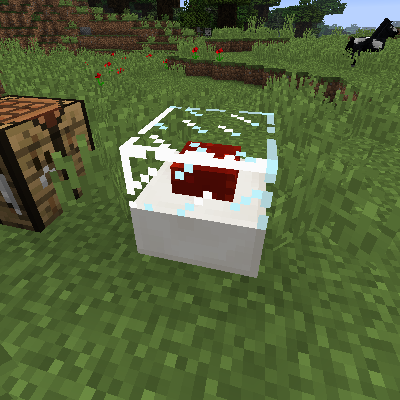 This recipe creates 1 ender teleporter block. The teleporter menu is accessed via. right-clicking (like a chest or furnace). When you open the menu, you are presented with a key slot. Any item placed inside the key slot will act as the key for the teleporter, allowing it to only teleport to other teleporters with the same key. Unique items (such as maps and books) can be used to make very specific teleporter networks. The teleporter matches the author name and title of the book when checking for a suitable destination. As for maps, only maps and their copies can teleport between each other. This way you can have good control over who has access! I have a few suggestions: Do you think you could add portable teleporters? These would be more expensive versions of the teleporters and would be items that you could use from anywhere in the world to teleport you to a bound teleporter. There could also be an even more expensive portable Ender teleporter that works cross-dimensions. Also, could you please make it possible to teleport by shift-right-clicking a teleporter so that you don’t have to jump on top of it every time you want to teleport, saving you some time? 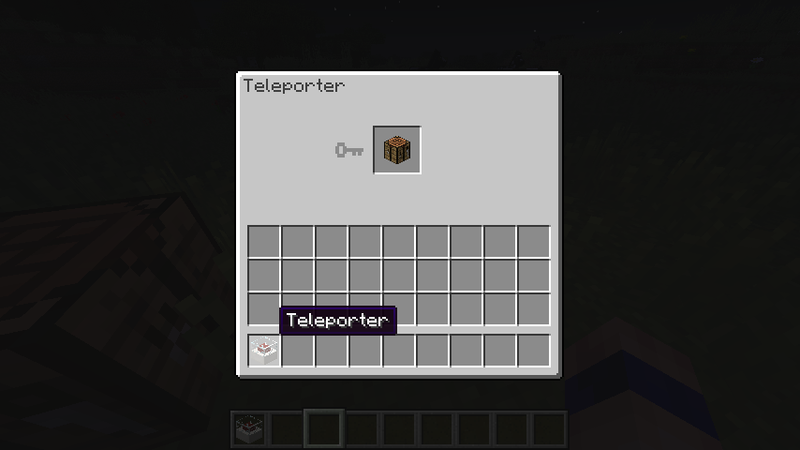 Additionally, maybe you could add tooltips (or a page in JEI) for the teleporters so that players who play a modpack with this mod will know what they do? For instance, the Ender teleporter could have a tooltip (or JEI page) saying that it works cross-dimensions, which you otherwise wouldn’t know without looking it up on the Internet. I like that mod. I tested it and it's working well. How much of an area around the teleporter needs to be open space to not take damage when you teleport? Or is the damage on TP a bug? I'm currently using beta 1.12 on SMP. I'm trying to download any version older then 1.11 but it only downloads the same 1.11-1.6.2 file instead of all the 1.12 releases. Edit: Is it able to teleport npcs too? Just a question. Should the vanilla's own recipe book show the recipes of the mod? Does this still work in 1.9.4? Or is there an update coming? It will work in 1.8.9...we will just have to wait for a 1.9.4 version. Hopefully sooner rather than later. Critical issue: Updating from 1.4.2 to 1.5.0 removed the key from all the existing teleporters on my server. Wasn't too dramatic for me, don't worry. Do you plan to update this to 1.8.9? Speak with author of the simple dimensions mod, you may be able to make trans-dimensional teleporters - May be popular for multiple dimension servers. can u make it a combination of key too? like more than 1 item as key? I really like this idea! I second this request. Very nice. Recently I was looking for a teleportation mod that would fit in a magic only pack, and this works great.